The new fan favorite track has been confirmed by some of the biggest sing-a-longs at AJR shows, along with massive hit, I'm Ready which has now surpassed 10 million views on YouTube. The video combines footage of the boys touring mixed in with the legendary film maker Wood Allen. The NYC-bred Met brothers – Adam (bass/vocals), a 24-year old Columbia graduate, Ryan (guitar/piano/vocals), a bespectacled 20-year old Columbia student who serves as the band’s main songwriter, and Jack (vocals/guitar), the 17-year old force-de-nature who splits time between lead vocals and attending high school in NYC. 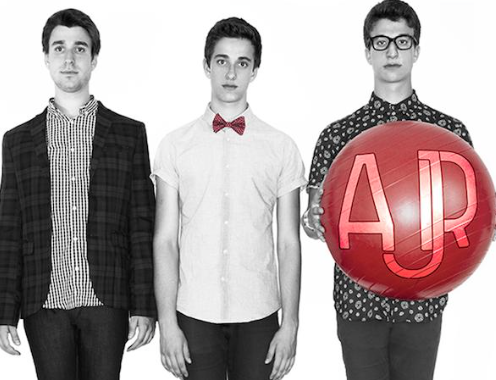 AJR's debut album, Living Room, was released on March 3rd, and available on iTunes now..!